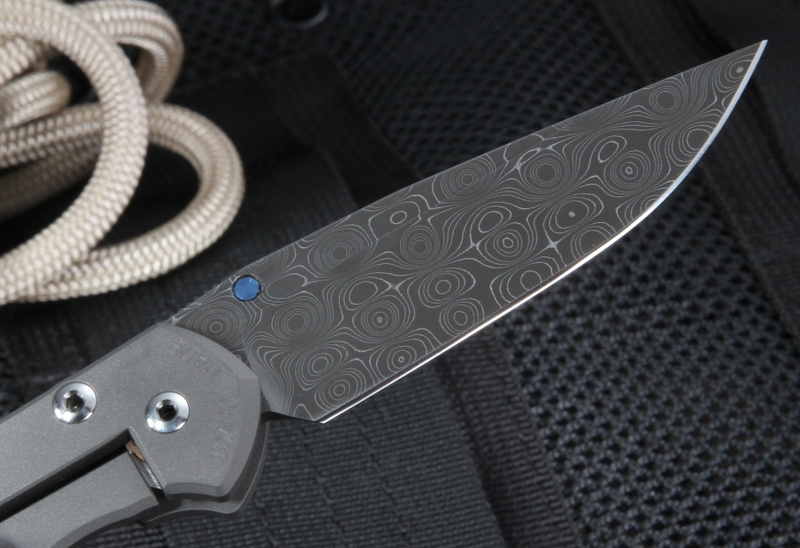 The Chris Reeve Sebenza 21 Raindrop Damascus Steel folding knife brings the best in knife utility and beauty in the Reeve collection. 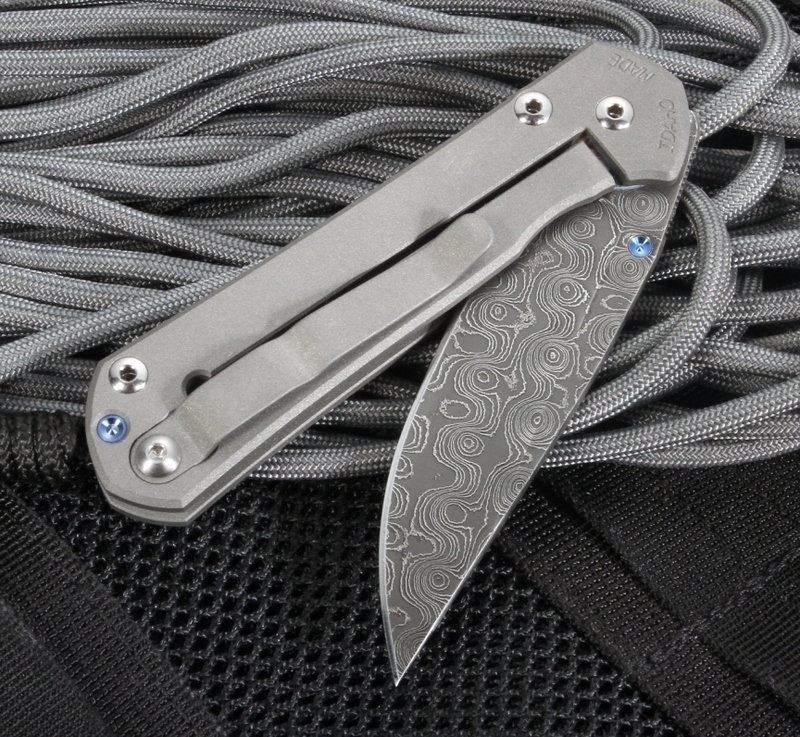 Constructed with titanium, this everyday pocket carry knife weighs a light but strong 3 ounces, and measures at an overall length of 7 inches. 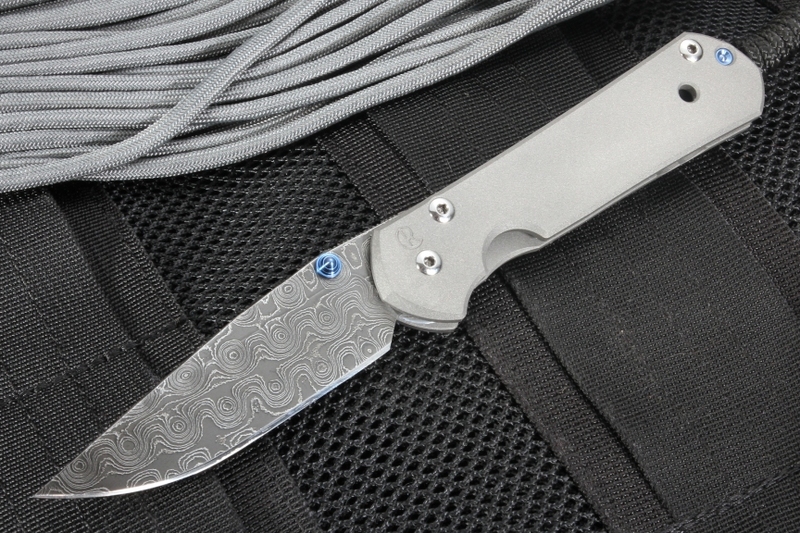 Durable and beautiful, The Raindrop Damascus is an eye-catching model from the Sebenza 21 series. 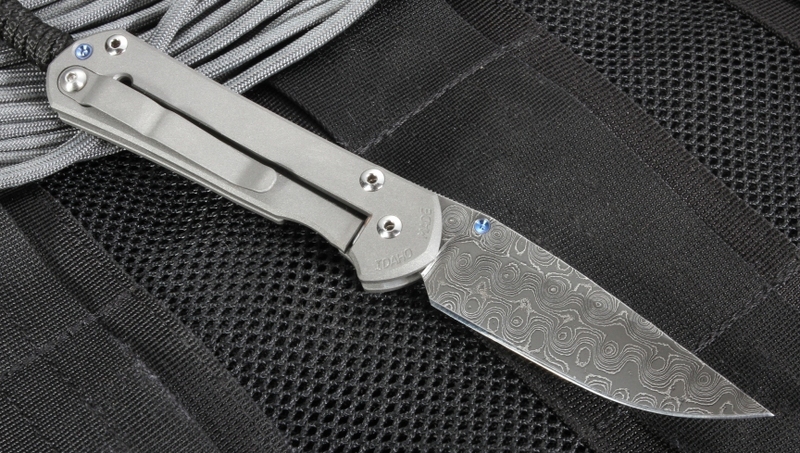 The Sebenza 21 uses the fine workmanship of American-made Devin Thomas Stainless Damascus steel in the beautiful Raindrop pattern. The blade itself is 3 inches long, with a blade thickness of .125 inches and a hardness of 58-59 HRC. 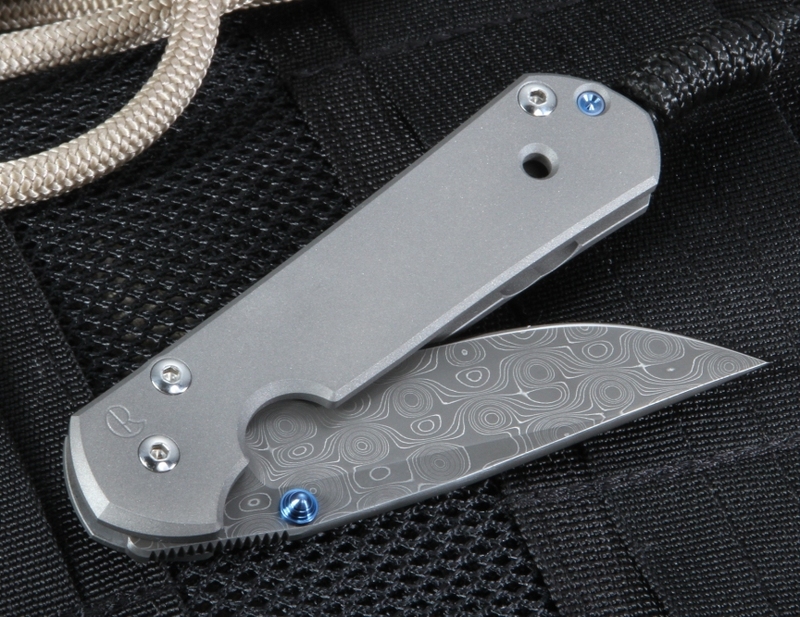 The drop point blade shape and hollow grind allows for smooth slicing, piercing, and cutting through all types of materials, making it a great carry knife on the field. The handle features the matte gray blasted aerospace grade titanium alloy, perfect for strength and durability. 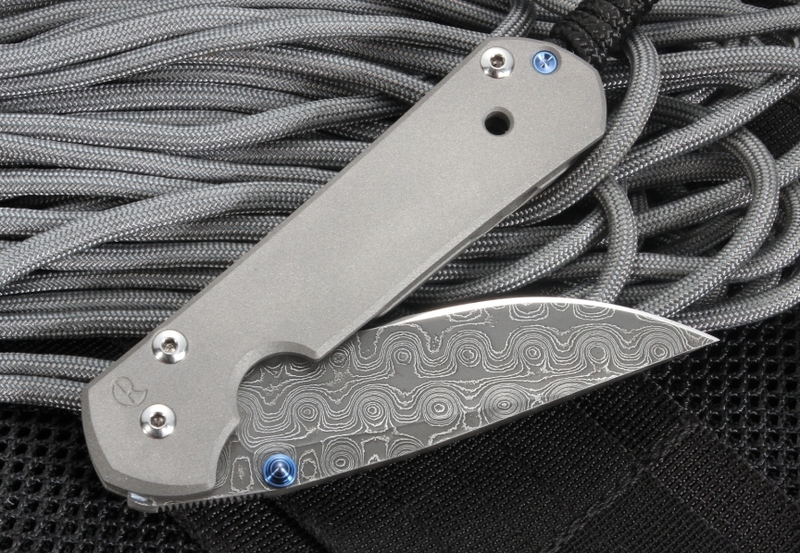 The handle also features a titanium pocket clip for tip-up carrying in addition to a lanyard hole on the bottom of the handle. With the famously pioneered Chris Reeve integral lock mechanism, the knife provides a strong and secure lock up of the blade. The filed thumb rest allows for improved grip over the titanium handle, giving more security over the knife when in use. Overall, the Chris Reeve Sebenza 21 with the unique Raindrop Damascus Steel design can be yours today by ordering through KnifeArt. Only providing the best and authorized knives on the market, your knife from us is ensured to be a genuine model. With free, same business day shipping and our customer satisfaction guarantee, we want you to be happy with your knife, or your money back. I own four CR knives and they are all 'users'. This was my first Damascus. Beautiful with a great edge. I would pay-up for another Damascus in the future. KA is easy and fast to deal with. Excellent, authentic product. Beware of imitation! Knife art is definitely genuine.